The German Chancellor Angela Merkel once again defended her open-door policy by denying she made any mistakes over the course of the refugee crisis, even though her decision to let in hundreds of thousands of refugees split the German society. ”I’d make all the important decisions of 2015 the same way again,” the chancellor told the German Die Welt daily’s weekend edition, adding that she has no regrets about her refugee policy. At the same time, she also said that the 2015 refugee crisis was an “emergency” that “we all, including the people seeking asylum, should never face once again.” The chancellor then criticized the EU Dublin regulation that stipulates that the asylum seekers should be accepted by the EU member state through which they first entered the territory of the union. Merkel denounced the Dublin system by saying that it is “no more reliable,” adding that it leaves “countries such as Greece and Italy unable to cope with the burden placed on them” by this regulation. Greece and Italy “should not bear this entire burden just because of their geographic location,” she said as she once again expressed her support for the idea of distribution of refugees between all the EU member states. Merkel called refusal of "some countries" to accept "any refugees" unacceptable. "That contradicts the spirit of Europe. We'll overcome that. It will take time and patience but we will succeed,” she said, adding that she would not stop pushing for relocation of refugees across the EU. Since 2015, when Merkel introduced her open-door policy, around 1 million asylum-seekers have arrived in Germany, putting a strain on its social welfare system and sparking a rise in anti-migrant sentiment as well as opening deep rifts within German society. Merkel, who is seeking a fourth term as Germany’s chancellor in the September 24 election, was confronted by angry protesters during a campaign speech for the second time in a little more than a week. 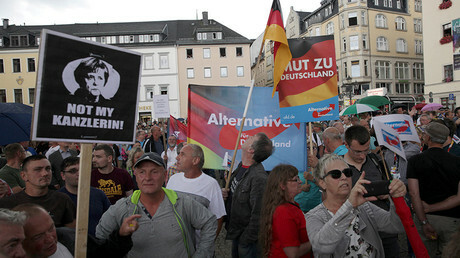 A similar incident took place at her previous rally in the town of Annaberg-Buchholz, where protesters held banners calling her “Traitor” and “Not my chancellor.” In both cases, the demonstrators expressed their discontent with Merkel’s refugee policy, which they said had failed. She also ruled out any form of cooperation with the right-wing party Alternative for Germany (AfD), whose supporters often appear her staunchest opponents. It is “absolutely clear that the AfD is not a partner for us,” she said, adding that her party would not engage in any form of cooperation with it. In the meantime, public support for AfD is once again on the rise amid the growing anti-refugee sentiments that followed Merkel’s open-door policy. According to the latest polls conducted by the German public broadcasters ARD and ZDF, AfD has once again emerged as the third most popular political force in Germany as it now enjoys the support of 10 percent of the German population. 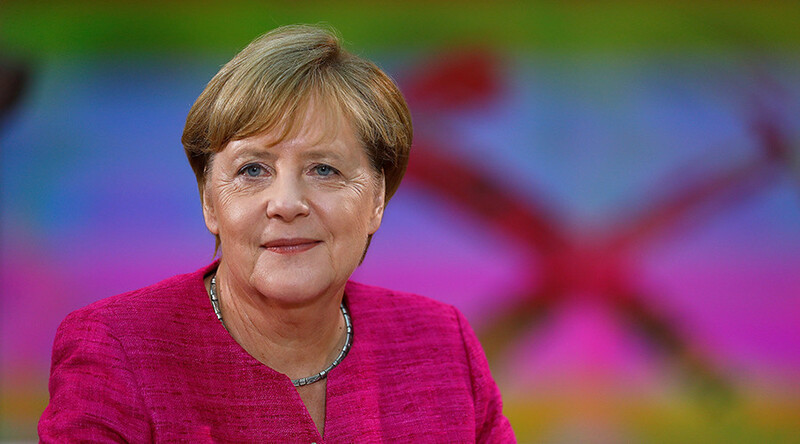 Angela Merkel’s Christian Democratic Union still leads the polls by a wide margin as it has support of some 38 percent of Germans. However, its popularity also dramatically fell during the refugee crisis by almost 10 percent and is now lower than before the previous parliamentary elections in 2013. The mass influx of refugees has also affected the security situation in Germany. According to a report in April by Germany’s Der Spiegel weekly, thousands of Afghan refugees who came to Germany admitted during interviews with representatives of the German Federal Office for Migration and Refugees (BAMF) that they either had contacts with some radical Islamist groups in Afghanistan or had directly fought for the extremists. The weekly also said at that time that the German Federal Prosecutor’s Office had already opened criminal cases against 70 Afghan refugees after verifying their statements, and that six asylum seekers had been arrested. Germany also witnessed a series of terrorist attacks carried out by refugees and claimed by Islamic State (IS, former ISIS/ISIL) in 2016. The most notorious attack happened in December 2016, when a Tunisian asylum seeker, who pledged allegiance to Islamic State, plowed a truck into a Berlin Christmas market, killing 12 people. 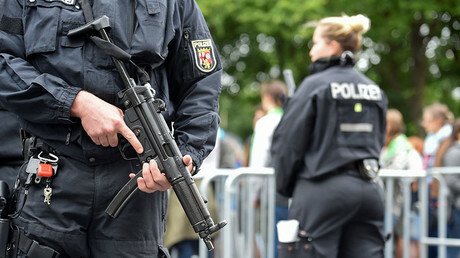 In July, the German domestic intelligence, the BfV, warned that new potential terrorists could be “possibly entering Europe under cover as part of the migration movement” as well as those returning from war zones in Syria and Iraq. In the meantime, the refugee inflow also led to a surge of right-wing extremism. A total of 208 anti-Muslim incidents were reported across Germany in the first three months of 2017, the Neue Osnabrücker Zeitung (NOZ) newspaper reported in June, citing security officials. Right-wing extremists were blamed for most of these incidents, including threatening letters, property damage, attacks on women wearing headscarves and online and verbal abuse. There were also 900 assaults on refugee centers recorded across Germany in 2016, over 850 of which may have been committed by far-right extremists, according to police. The statistics marked a fivefold increase from 2014 figures.